A Tale of American Heroism -- Immortalized in 99.9% Silver! The date was June 28, 1776, and the American Revolution was in its early stages. On Sullivan's Island in Charleston Harbor, South Carolina, the palmetto log walls of a patriot fort were beginning to take shape -- until nine British warships led by Commodore Sir Peter Parker approached and began to attack. As the cannonballs started to fly, the blue South Carolina troop flag designed by Colonel William Moultrie was shot down. Risking his life, Sergeant William Jasper ran to retrieve the flag while dodging enemy fire. After bringing it back to safety, Sergeant Jasper quickly raised the flag again and Colonel Moultrie used it to rally his troops and defend the fort throughout a nine-hour battle. The city of Charleston was protected and an important early battle in the American Revolution was won. Sergeant Jasper would be remembered for his heroism, the fort would be named after Colonel Moultrie and the flag would evolve to be South Carolina's state flag. Throughout the American Revolution and the Civil War, the fort would change hands between nations and between the Union and Confederacy. Today, it still stands as part of Fort Sumter National Monument as a restored and preserved site that reflects its years of influence in the birth and perseverance of a nation. 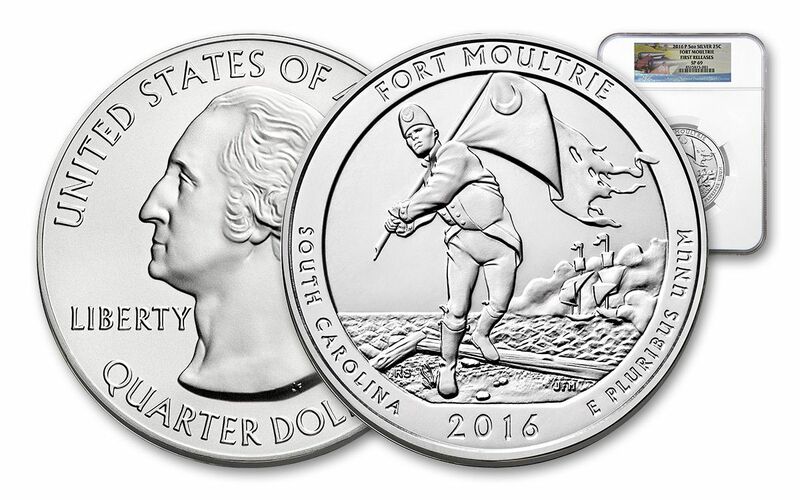 Now, 240 years later, the United States Mint is memorializing this pivotal moment as part of their America the Beautiful Quarters® Program with the 2016 5-oz silver America the Beautiful Series Fort Moultrie, South Carolina coin. 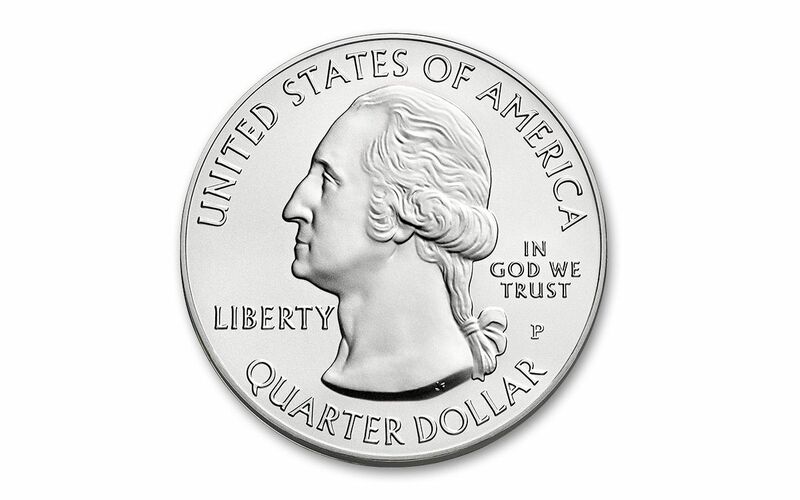 Struck in a weighty five ounces of .999 silver by the Philadelphia Mint, each coin has a massive diameter of three inches and thickness of over four millimeters, but still has a legal tender value of 25 cents! One side features John Flanagan's restored 1932 portrait of George Washington, while the other side depicts Sergeant Jasper as he runs with the fort's tattered but intact flag as British ships of war approach. Incused edge lettering confirms that your coin is, indeed, ".999 fine silver 5.0 ounce." 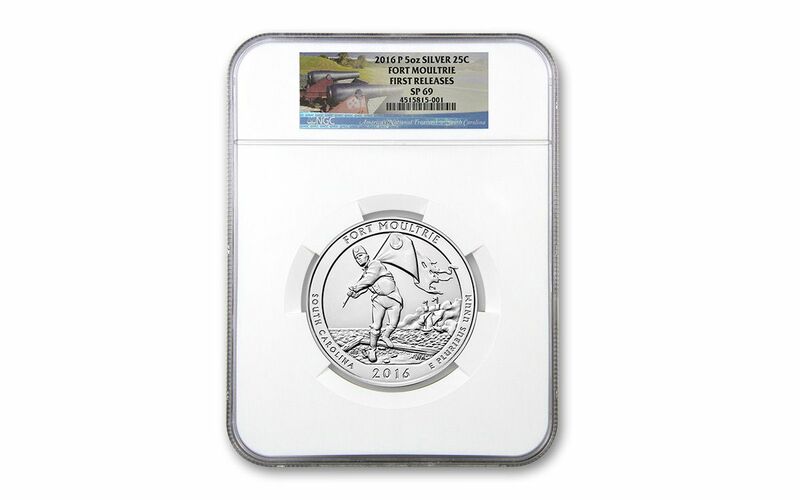 Your Fort Moultrie Coin will be graded Specimen-69 (SP69) by Numismatic Guaranty Corporation (NGC), a distinction that means your almost-flawless coin will showcase an impressive full strike and indistinguishable imperfections -- well above and beyond the quality of the vast majority of coins in the series. Your coin will also be certified First Releases (FR) by NGC, meaning that it was among the first struck by the mint and was certified within the first 30 days of issue. 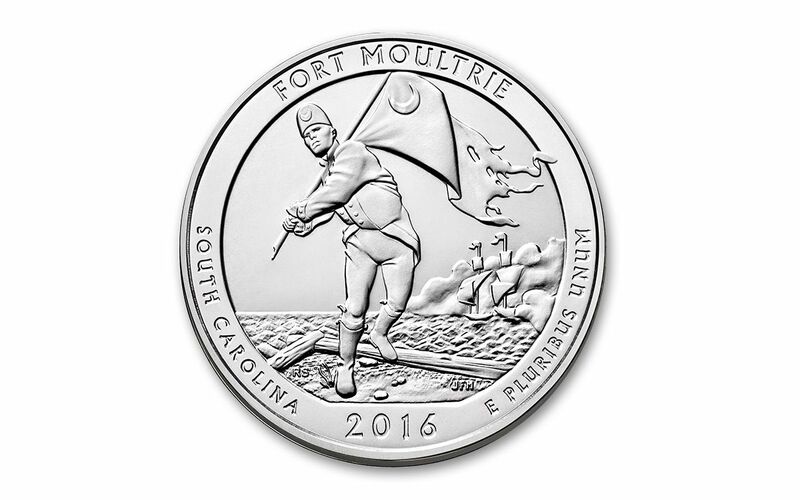 Your Fort Moultrie Coin will be sonically sealed in an acrylic case with white display core -- giving you the best in protection while granting clear sightlines into every beautiful detail. Combine the unique historic occasion that surrounds this release along with the captivating artwork and attractive size of this coin and you can see why we don't think this will available for very long. Capture this important moment in American history for your collection -- order yours today!